Really loving finding black and white jelly beans. I think they are in celebration of the All Blacks, but they are also my two favourite jelly bean flavours!! Loved realising that last Tuesday was the 1 year anniversary since Boo arrived!! 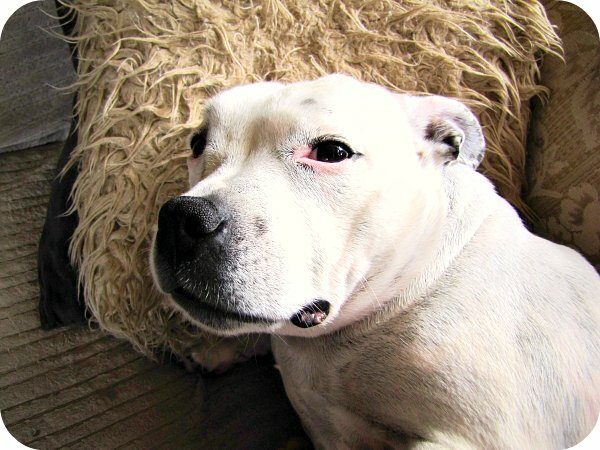 We love her to bits and seriously think she is the best dog ever (even though she is a wee bit chubby and needs steroids for her grass allergy). My favourite post about Boo would have to be this one. Still cracks me up!! 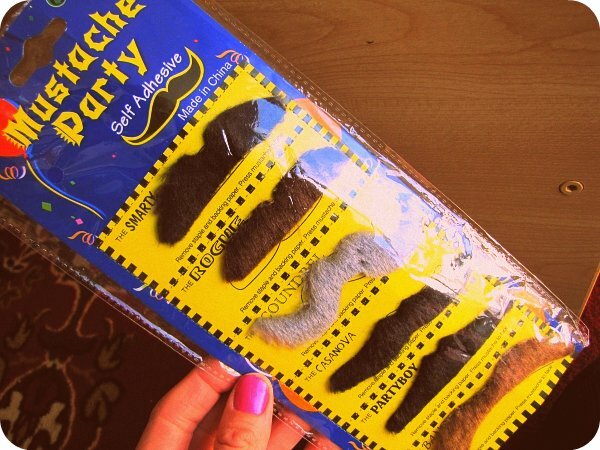 There have been a lot of moustache shenanigans around blogland lately. I'm not sure who's to blame... but it could be something to do with these super awesome mustaches Tracy gave me (yes, I'm totally blaming you Tracy). Check out the funny video response (to our bloggy girls video) that the Aussie bloggers made here. 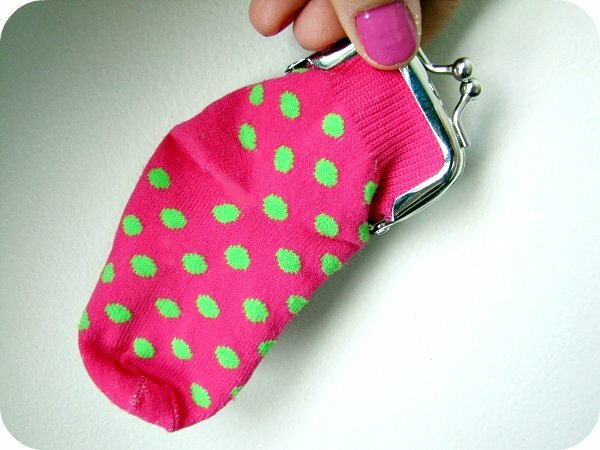 and that coin purse is too funny! 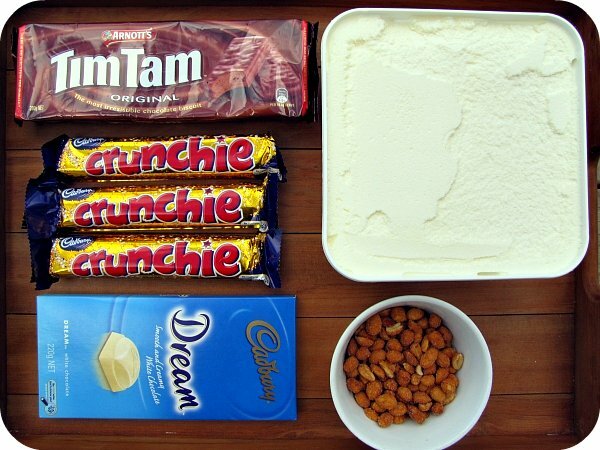 I'd love to see how your mixed-up dessert looks like! I'm intrigued. The moustache capers are soooo funny - I laughed out loud. Your Boo is too cute. Too cute!! I'm intrigued by your dessert...it looks dangerous! That coin purse is adorable! How cute is that coin purse??!! Good luck to your All Blacks & Warriors. And can I just say, mustache shenanigans??? Hey that dessert... I want more details! 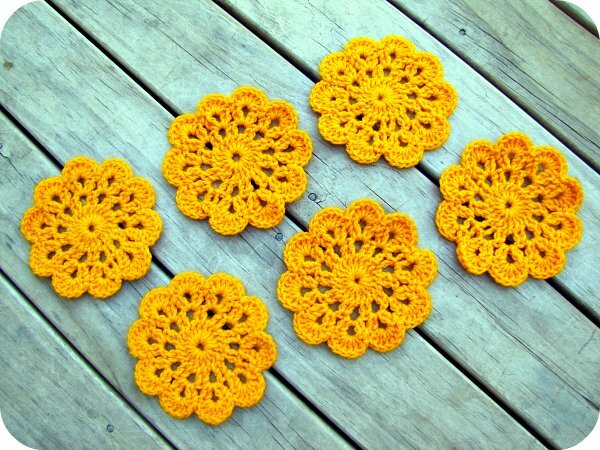 And those mujstard coasters... so seventies retro - you are the queen of craft nerd cool!! Thats the most gorgeous coin purse i've ever seen! Beautiful loves!! really interested in what your dessert is! Happy 1 yr anniversary to you guys and Boo! That coin purse is awesome! Love it. You guys certainly went moustache crazy this week! 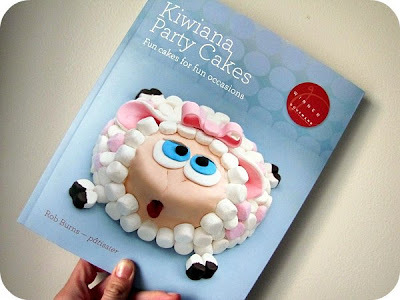 My mum gave me the Kiwiana cake book for Christmas, can't wait to try some out! 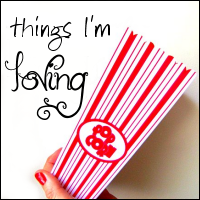 Loving your cute purse and the moustache capers... looking forward to the next mblog instalment! Black and white is everywhere right now....I've seen those jelly beans in the supermarket and been very tempted! That dessert looks intriguing and oh I can tell by the look of that cake book that I would LOVE it! I don't believe it, I got the linky to work!!! Is it wrong that I love the fact that your dog has a grass allergy?! Very sweet. i know you love mustaches so you are going to love this one, we bought an ice-cream store and we have called it Milk Mo's! all the little characters on our advertising signs have mustaches on them! I've been dying to make one of those baby sock purses for years now. (I even have a frame - just no cutesy sock to use...) I totally love those coasters you've crocheted. How big are they? doh, I forgot to post yesterday! 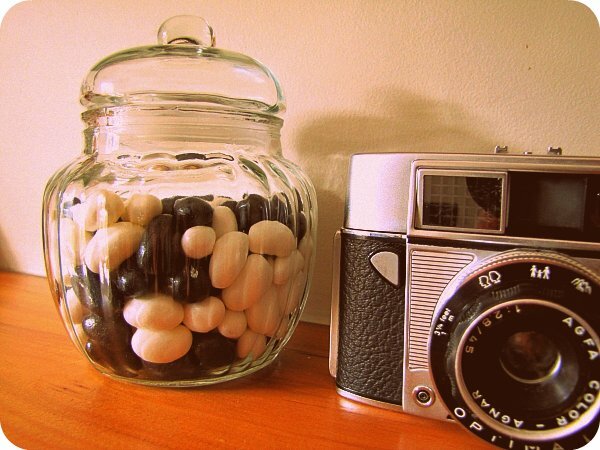 Love those jellybeans and that camera by them - very cool!